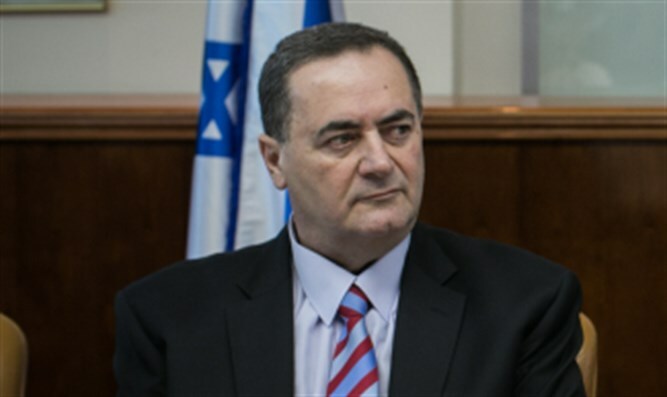 Israeli Intelligence Minister Yisrael Katz (Likud) predicted Tuesday that Trump would announce his withdrawal from the nuclear deal later on Tuesday, after President Trump tweeted Monday that he would disclose his plans for Iran sanctions relief at 2:00 p.m. on Tuesday. "The right way for President Trump to promote his policy and stop Iran is to announce the cancellation of the nuclear agreement and the return of economic sanctions on Iran," Katz said. "The world must unite against Iran, as it did against North Korea, until the total cancellation of the nuclear project, the cancellation of the development of ballistic missiles and the cessation of Iranian-Shiite expansion in the region, which rose yesterday with Hezbollah's victory in Lebanon." Trump has announced that he will speak out on his impending decision regarding the nuclear deal at a press conference today at 2:00 p.m.
“I will be announcing my decision on the Iran Deal tomorrow from the White House at 2:00 pm,” Trump tweeted on Monday. If the president does indeed end sanctions relief for Iran, it will restore US sanctions on the rogue regime, effectively ending US participation in the Iran deal.